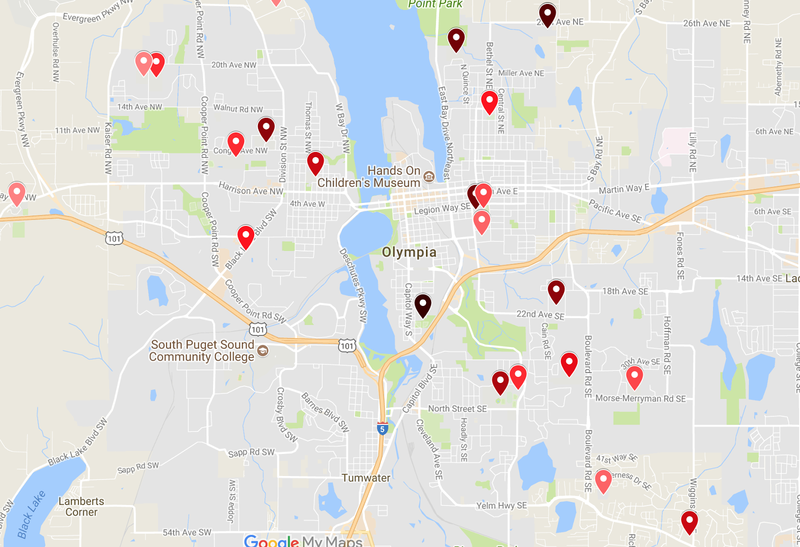 With the pertussis (whooping cough) outbreak at Lincoln Elementary, it's time to take another periodic deep dive into vaccination data for Olympia School District. The last two times I've written about this I've done much higher altitude views, comparing Olympia and Thurston County to other areas. Now I want to take a deeper dive into the information, and go school by school. The state Department of Health provides data on a school by school basis. So, I took that data and began cutting it up into smaller pieces. Here's what I was working with. This is a map that plots non-medical immunization exemptions on file at each school with more than 100 students by rate. No surprise, Lincoln is top of the list. It also isn't that big of a surprise then that Lincoln is near the top of the schools with exemptions specifically citing pertussis at 12 percent. If you're somewhat aware of this issue, you've heard about herd immunity, or how the vaccination rate in a group of people that protects people who can't receive a vaccine. This is why a 12 percent exemption rate at Lincoln is sort of scary.